Addy with her doll (and its puppy). So for the last few weeks we’ve tried to begin to teach Addyson responsibility and respect through a weekly checklist. The first full week she didn’t do things that great but at the end of the week when she saw that she was not going to receive the reward promised to her due to the fact that she did not complete every item she began to understand it. 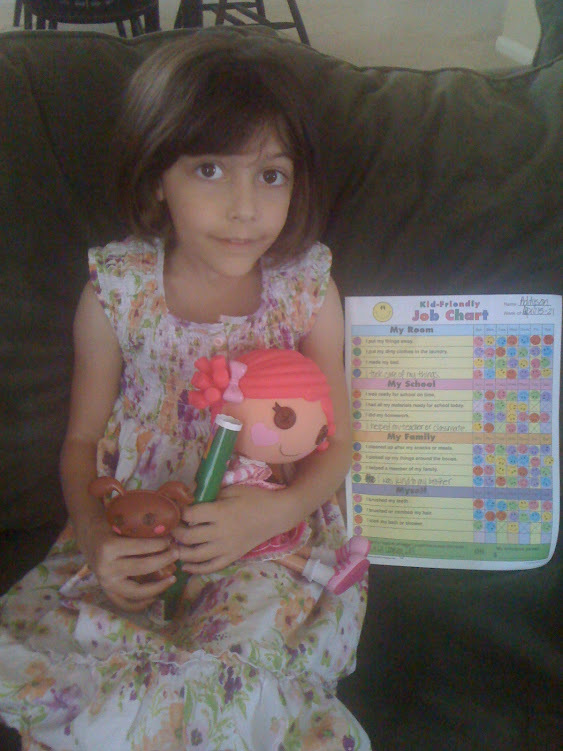 I am happy to report that this past week she successfully completed her Responsibilites Chart receiving a Lala Loopsy Doll.